Hello, friends here. If you know Chinese and you love singing or music, then I am sure that you will love China Super Vocal in this summer. 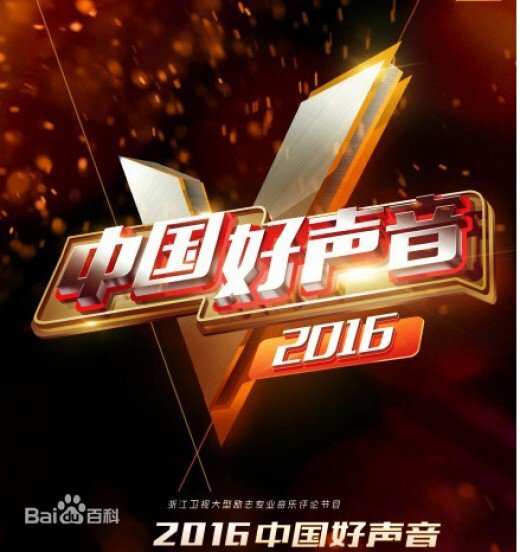 China Super Vocal (previously known as The Voice of China) Season 5 is a famous talent music TV show created by ZheJiang TV and STAR(“Satellite Television Asian Region Limited). The coaches are Jay Chou, Wang Feng, Na Ying and Harlem Yu. Because of the copyright issue, it brings a new name"China Super Vocal" instead of "The Voice of China", and a new logo was created by its team, which is a golden 'V' behind its Chinese name"Chinese: 中国好声音; pinyin: Zhōngguó Hǎo Shēngyīn"
China Super Vocal is a very good music TV show, which is welcomed by the Chinese people no matter they are in China, Singapore, Malaysia, UK or USA. That is to say, China Super Vocal is welcomed where there are Chinese people. When will be China Super Vocal premiered? ---The fifth quarter is expected to be premiered at Friday night 21:10 of July 15, 2016 in Zhejiang TV. Where Can I watch China Super Vocal Season 5? ---You can watch this "Voice of China" through ZheJiang TV or its Internet partner---QQ Video(http://v.qq.com). The Blind Audition still will be the fresh point. The 4 coaches will listen to the new singers with their chairs back to the stage, from the voice they love, they will give the new singer the chance to take part in their team. Name: Jay Chou, who is from China Taiwan, famous popular singer, he also attended the season 4 of the Voice of China. Name: Wang Feng, from Beijing, Chinese rock singer, songwriter, lyricist and composer, who also is the the sponsor of Baojia street No. 43 band, the coach of season 3. Name: Na Ying, she is from Shenyang city of Liaoning Province, Na Ying attended every season of the Voice of China(China Super Vocal), by the way, she is manchu. Name: Harlem Yu, from China Taiwan, he also have attended at least one time of the Voice of China Series. articles sietmap and page sitemap for Google and other search engines. blackpaperxyz.zdhweb.com. Simple theme. Powered by Blogger.